CHAPTER 1: New interest in the traditional Latin Mass. Benedict XVI’s Summorum Pontificum. Importance of the doctrinal issue. Presentation of main thesis (contention) of the book. 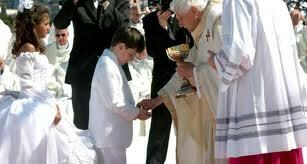 Method: Systematic examination of the prayers and ceremonies of the Mass of Paul VI. Reference to writings of men responsible for creating the New Mass. • “Also succeeds in demonstrating the impact of a doctrinally different rite on the belief of the faithful. REVIEWER: The Rev. 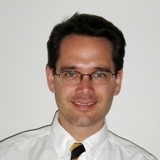 Dr. Alcuin Reid is a liturgical scholar and cleric of the Diocese of Fréjus-Toulon, France. Dr. Reid is not well known in old-line traditionalist circles (independents, SSPX, sedevacantists, The Remnant, etc. ), but is very well known among the younger and more conservative generation of post-Vatican II clergy who in the mid-1990s started to question the official liturgical reforms. He has written numerous articles and lectured at international conferences promoting the application of Benedict XVI’s Motu Proprio Summorum Pontificum, which gave a general permission for celebrating the Mass according to the Missal of John XXIII. Dr. Reid’s academic reputation was secured by his monumental work, The Organic Development of the Liturgy: The Principles of Liturgical Reform and Their Relation to the Twentieth-Century Liturgical Movement Prior to the Second Vatican Council (Ignatius Press 2005). This is a survey of the history of liturgical change and development up to the eve of Vatican II. The second edition in 2005 contained a laudatory preface by Joseph Cardinal Ratzinger. Dr. Reid is currently at work on a successor volume entitled Continuity or Rupture? 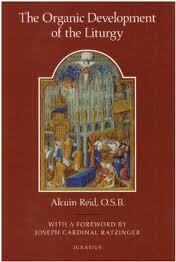 A Study of The Liturgical Reform of the Second Vatican Council, which is due to be released in 2013. WEBSITE: New Liturgical Movement (NLM) is a website founded in 2005 by Sean Tribe, and dedicated to “the Sacred Liturgy and liturgical arts.” It has an international list of contributors and promotes the celebration of liturgical ceremonies according to both the pre- and post-Vatican II rites. THE REVIEW. I was very pleased to have Work of Human Hands reviewed by Dr. Alcuin Reid. His review of Work of Human Hands is well-crafted and systematic, and he examines the material in the order in which I presented it. The full text of is available on NLM at this link. These strong, even extreme, positions may themselves repel readers. But again, they must be examined. However, the meat of Cekada’s work is found not in his history, but in his theological analysis of the Mass of Paul VI. 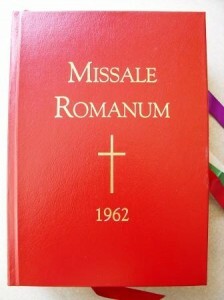 Two chapters are devoted to an analysis of the different versions of the General Instruction of the Missal that appeared in 1969 and 1970. Cekada rightly points out that the 1969 text confidently outlined the prevailing theological principles that underpinned the reformed rite of Mass, which was published with it. Cekada demonstrates well (but with a bit too much rhetoric) that these principles leave traditional Catholic theology behind: “sacrifice” is replaced with “assembly”, “the Lord’s supper” moves in to displace “the Sacrifice of the Cross”, etc. Note that Cardinal Ottaviani speaks about the rites, not the Instruction. As Cekada ably demonstrates, the theological principles so boldly outlined in the 1969 Instruction guided the decisions about what went, remained, or was invented for the rites of the Mass of Paul VI (just look the Offertory). The dispute over the Instruction led to the issuance of a revised version in which, as one liturgical progressive of the period noted, a more “Tridentine” term was placed alongside each incriminated expression. However, as Cekada deftly observes, the prayers and rites of the 1969 Order of Mass are identical to those of 1970: a defective building is not rectified by scribbling a few changes on the blueprints. The Mass of Paul VI remains, in its Latin original (before any Episcopal Conference gets to mistranslate it), intentionally theologically different to what came before. I was particularly pleased that Dr. Reid gave so much attention to the two chapters on the General Instruction (Chapters 5 and 6), because the issues they address are crucial in understanding the theological disconnect between old and new. Over half of this book is given over to a detailed exposition of this difference, not at all unsuccessfully. Cekada draws frequently on the writings of those responsible for the reform itself, who state the difference plainly. (One of the strengths of this work is its research and detailed footnotes and bibliography). My only regret here is that this is not augmented with references to the excellent and detailed work being done on the same topic by Professor Lauren Pristas. Nevertheless, here, Cekada makes his point very well. Indeed, it has to be said that the book as a whole succeeds in demonstrating the substantial theological difference between the two missals. [Cekada] also succeeds in demonstrating the impact of a doctrinally different rite on the belief of the faithful. Surveys on the decline in belief in the real presence amongst Catholics are sufficient to underline that. II. Criticisms and Disputed Points. The major ones concern my position on the invalidity of the New Mass, the historical material I present in Chapters 2 and 3, and the connection between the Liturgical Movement and modernis. 1. The Invalidity of the New Mass. Here, Dr. Reid is incorrect in his review when he states that the “secondary thesis” of Work of Human Hands is that the Mass of Paul VI is invalid. I do indeed argue that the new rite is invalid — due to substantial changes in the form of the sacrament that alter the intrinsic sense of the words, and so change the ministerial intention — but I devote a scant three pages (346–8) to the issue. 2. Historical Questions. Dr. Reid has dedicated several decades to researching and analyzing the historical background to the Vatican II liturgical reforms, so his criticisms on historical questions in particular must taken seriously. Dr. Reid believes that I attribute too much to Bugnini in my treatment of the pre-Vatican II liturgical changes. Father Annibale Bugnini is pivotal, of course. But the idea that prevails here, and elsewhere, that he held the reins of power in all liturgical reform from 1948 onward, carefully manipulating and conspiring towards the goal of the new Mass, is false. Bugnini was an activist and an opportunist, certainly. However, as Msgr Giampietro’s study of Cardinal Antonelli’s liturgical role, The Development of the Liturgical Reform, demonstrates, Bugnini was by no means the principal or sole architect of the liturgical reforms of Pius XII. I willingly concede that Bugnini was not the only player. The difficulty is that, compared with others involved in the reforms, Bugnini was a relentless self-promoter who wrote extensively about his own work whenever possible. It is perhaps inevitable that such a character would sometimes get more credit (or in the case of the reform, more blame) that he deserved. when his friend, Cardinal Montini, became Paul VI and rehabilitated him, naming him secretary of the commission to implement the Council’s liturgical reform. This singular opportunity and their frequent personal collaboration is what brought about the Mass of Paul VI. It must be said that [Cekada’s] veneration of Pius XII, and his exoneration of him from any responsibility for the liturgical reforms of the 1950s, is excessive. The fact is that we do not know the extent of Pius XII’s personal enthusiasm or involvement in their realisation. But we do know that they were enacted on his authority. In the absence of evidence to the contrary, for better or worse, the responsibility for them is his. I had rather expected that my treatment of Pius XII might be regarded as too harsh! Cekada’s history of the Vatican II reform is better, though to treat the discussion of liturgical reform at the Council itself in but three paragraphs, and the intense activity of the following five years in but ten pages is rather thin; and there are occasional inaccuracies. In response I would say that the chapter to which Dr. Reid refers was merely intended to provide an overview of what went on. I anticipate that the second volume of his Organic Development, scheduled to appear in 2013, will treat this period in far greater detail than I could ever hope to. Here, though, it was not just post-Vatican II traditionalists who raised this issue, but actual contemporaries of the Movement: Archbishop Groeber and several others in the 1940s (see pp. 18-9) and Ernest Koenker and others in the 1950s (see pp. 44-5). 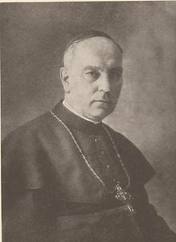 In the latter case, Koenker praised the leaders of the Movement for having adopted the very methods condemned by Pius X in Pascendi. That is not to say that those at whom the finger is pointed ought not to be scrutinized. Dom Lambert Beauduin certainly inaugurated the pastoral liturgical movement, but anyone who studies his seminal work Liturgy the Life of the Church can see that this was both sound and traditional. Beauduin’s ideas developed, yes, and he became a suspect ecumenist, certainly, but there is no evidence that he conspired towards or would have been happy with the missal of Paul VI. The influence of the Jesuit scholar Joseph Jungmann ― expounded very well here ― is certainly crucial. Louis Bouyer’s liturgical theology was definitely different to the prevailing twentieth century scholasticism, but that does not mean that it is necessarily modernist or heretical: theological development is possible so long as it does not deny truths of the faith. "Heirs of modernism, precursors of Vatican II"
But again, one salient characteristic of modernists is their rejection of scholastic theology (one point on which Koenker praised the Movement). And here the Liturgical Movement counted among its supporters many adherents of the anti-scholastic nouvelle théologie (the new theology), which was condemned under Pius XII and triumphed at Vatican II. 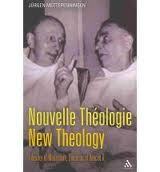 Contemporary theologians now regard the leading lights of the nouvelle théologie as having been the successors of the modernists whom St. Pius X had condemned and as the precursors of the theology of Vatican II. The connection, moreover, between the theology of the Mass that Bouyer enunciated in Liturgical Piety and the assembly theology of the 1969 General Instruction which Dr. Reid rightly regards as pernicious would seem to raise serious problems about defending Bouyer’s orthodoxy. The conclusion that I believe will ultimately emerge is this: Without scholastic theology behind it, the traditional liturgy in the modern age, no matter how splendidly executed, becomes nothing more that a gorgeous shell emptied of its substance. And that in turn, I hope, will lead to a rejection of the new theology in favor of the old. Regardless, Father Cekada’s great service is to flag the big question that we have not widely, as yet, been prepared to face. Whilst it is certainly better to celebrate the modern liturgy in a traditional style using more accurate translations, that is not enough. For if the Missal of Paul VI is indeed in substantial discontinuity with the preceding liturgical and theological tradition, this is a serious flaw requiring correction. It is high time, then, that we not only recognize, but do something about the elephant in the liturgical living-room. In sum, I was particularly pleased that throughout his review, Dr. Reid sought to emphasize my discussion of the underlying theological problems with the Mass of Paul VI. It was precisely this aspect of the New Mass that I wanted to draw attention to. For this reason, I tried to make Work of Human Hands a sort of synthesis or summary of how the texts, gestures and rubrics of the Mass of Paul VI undermined belief in Catholic doctrine on the nature of the Mass, the priesthood, the Real Presence, etc. We all know that the process took place, and that the reformed liturgy played the key role in it. The tendency (it certainly was mine many years ago) was to blame “abuses” — deviations from the officially prescribed norms. But as the years have rolled on, it has become more and more apparent that the officially-sanctioned rites themselves (even in Latin) are true source of the problem. I am grateful to Dr. Reid for his thoughtful review, and I am grateful to New Liturgical Movement for publishing it. Msgr. Wadsworth and Bp. Roche of ICEL present Benedict XVI with a book explaining their work. 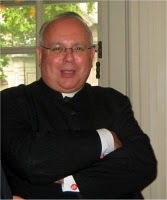 In March 2009 the Holy See appointed him General Secretary of the International Commission on English in the Liturgy (ICEL) and Executive Director of the ICEL Secretariat in Washington DC. After Vatican II, ICEL was responsible for producing the official English liturgical translations that conservative Catholics regarded as pedestrian, lacking a sacred “tone” and distorting the meaning of the Latin original texts of the Mass of Paul VI. With the advent of a neo-conservative movement among the younger clergy in the 1990s, complaints about the original ICEL translations started to be taken seriously. 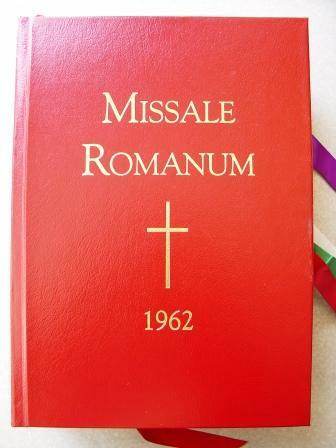 At the Vatican’s behest, ICEL prepared a new English translation of the Missal of Paul VI, which was then approved English-speaking bishops’ conferences. 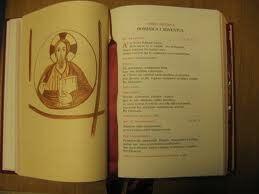 The new translation will become obligatory in Advent 2011. Conservatives throughout English-speaking world have praised the new translation as more “sacred,” Latinists have praised its accuracy, and musicians have praised it as easier to sing. And all have praised Msgr. Wadsworth’s role in seeing this new translation through to completion. 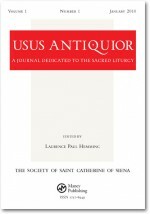 PERIODICAL: Usus Antiquior is a scholarly journal dedicated to the sacred liturgy and published twice a year by the Society of St. Catherine of Siena. Its editor is Rev. Dr. Laurence Paul Hemming, Institute of Advanced Studies, Lancaster University, England. For subscription information and rates, click here. Usus Antiquior does not post all of its content on-line, but downloads of articles and reviews may purchased at this link. Msgr. Wadsworth’s review of Work of Human Hands appears in Usus Antiquior, Vol. 2, No. 2 (July 2011), 172–3. THE REVIEW: Since Msgr. 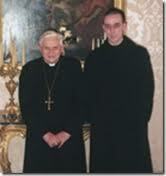 Wadsworth is intimately familiar with both the official Latin version of the Missal of Paul VI and the traditional Missal, and since my method in Work of Human Hands was to compare both Missals, I regard him as someone who is particularly well qualified to review my book. Despite the polemical tone of this work, it is a highly readable and well researched essay whose thesis has subsequently been the subject of a more thorough treatment in the writings of scholars, such as Dr Lauren Pristas. Unlike most critiques of the Novus Ordo which tend to concentrate on analysis of the Ordo Missae, Fr Cekada’s work (both in 1991 and 2010) considers the corpus of proper texts in the Missal in an attempt to assemble a comprehensive picture of the theological implications of the liturgical reform. The scarcity of this genre is testimony to the fact that forty years after the Council, we are still awaiting serious scholarship on these texts, the manner in which they were produced and the guiding principles which shaped their composition. I was wrong. Although presented in a highly personal way, this book does not skimp on scholarly detail. 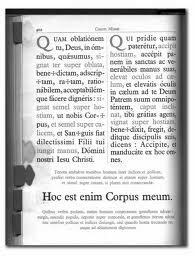 Assertions are usually supported with documentary references and there is a clear commitment to presenting the fullest possible narrative account of the evolution of the current Roman Missal. On reflection, it is the assembly of a detailed chronology that is Cekada’s most significant contribution in this study. Drawing heavily on secondary sources (majorly Bugnini, Antonelli and Bouyer), he charts the evolution of the mind of the Missal in terms of the development of the Liturgical Movement. For English readers, he also becomes a portal for a considerable amount of material not generally available in English. Chapter Two traces the origins of the Liturgical Movement from promising beginnings through the ‘derailing’ influence of Beauduin, Jungmann, Bouyer and Casel. Cekada clearly considers that their work in liturgical studies was so patient of modernism that they sent the whole movement veering off in the wrong direction. This movement ultimately bears fruit in the Pian Reform of Holy Week (1951) which Cekada identifies as the prototype for all subsequent reform and revision. This is Cekada’s most illuminating insight. The study certainly goes a long way in reconstructing the all-important narrative of how the liturgical reform came about. In many ways it makes a legitimate claim to being the fullest account of this narrative currently available in English. [Cekada] explains at length his view of the shortcomings of Jungmann and Bouyer. The first he says commits the Church to archeologism with a corruption theory that advances an historically unsupported view of liturgy in Christian Antiquity. The second multiplies the falsehood by proposing an idealistic form of liturgy based on Lutheran ideals. He adds to this heady cocktail a young Montini totally shaped and formed by modernist liturgical scholarship. Many would now consider that he is right about Jungmann, but less so about Bouyer and Montini. On the latter point, I noticed among writers in Msgr. Wadsworth’s milieu a particular disinclination to criticize Bouyer. This I attribute to some of the highly unfavorable comments Bouyer later made about certain aspects of the liturgical reform in his short books Liturgy and Architecture (1967) and The Decomposition of Catholicism (1969). But Bouyer’s remarks in these works, I think, merely reflected his contradictory temperament. One author opined that when Bouyer stepped up to a microphone, you never knew what he was going to say. Cekada’s identification of a paradigm shift in Why Change the Offertory? goes a long way in explaining a diminishing of an understanding of the priesthood and the sacrifice offered in the Mass, as does his inference of a deliberate wish to subvert on the part of some. A welcomed final feature of the book is an extensive bibliography which points the interested reader towards a vast amount of useful commentary. II. Criticisms and Disputed Points. There are four of these, and they offer a good opportunity for some give and take. Cekada sites his debate in the climate of renewed interest in traditional rites in the wake of the motu proprio Summorum Pontificum. He goes to considerable lengths to express his sincere view that attachment to the traditional liturgy without a through-going theological rationale, amounts to no more than personal preference based on aesthetic considerations. But apart from rejecting the new liturgy in favor of the old liturgy on the basis of a clear theological rationale, I can’t think of anything other basis for doing so, apart from aesthetics, nostalgia or simple preference. Once you get away from the theology behind the two rites, what else do you have? Cekada makes it clear that in his view, authentic Catholicism at the present time only admits the sedevacantist position. This would condemn the vast majority of the million or so Catholics who use traditional rites in their worship to the charge of schism and heresy. But here Msgr. Wadsworth is simply mistaken. I do not treat these issues at all in Work of Human Hands. To be sure, this chapter does go over a lot of old ground: the origins and invariability of the Roman Canon, its silent recitation, the artificial structure of the new EPs and the “all vs. many” dispute over the translations of the Words of Consecration. But this was done for the benefit of those who are “new” to the old Mass. I cheerfully concede, however, that in the case of at least one EP whose historical antecedents I was able to treat in only a summary fashion (EP2) a far more comprehensive treatment did indeed appear at about the same time that Work of Human Hands was published. This is Mathieu Smyth and Paul Bradshaw’s erudite study “The Anaphora of the So-called Apostolic Tradition and the Roman Eucharistic Prayer,” Usus Antiquior 1.1 (January 2010), 5–25. I was employing the expression ironically. It is likely that Msgr. Wadsworth missed this because as an Englishmen he would naturally tend to put the concept “American irony” into the same category as “German humor” — theoretically possible, but rarely encountered in the real world. 3. Pre-Vatican II Changes and the New Mass. Msgr. Wadsworth seems to be of two minds about my treatment of the connection between the 1951-1967 liturgical changes and the Mass of Paul VI. Here as at many earlier stages in the book, Cekada claims rather too much for the reforms of 1962 and 1965, giving the ludicrous impression that these revisions constitute the beginnings of the Novus Ordo. I think, though, that a rereading of the evidence (see the quotes from Bugnini, Braga, and Paul VI on pp. 49, 57–8, 61, 67-8 of Work of Human Hands) shows that my claim is far from ludicrous. The creators of the New Mass themselves saw a straight line connection between pre- and post-Vatican II changes. [Cekada] fails to cite his observations in a wider theological discourse, perhaps fearing a compromise of his sedevacantist position. This tends to mean that whereas he is persuasive in arguing the genesis of modern liturgical reforms, his explanation of their consequences both at the time and in our present time, is often unconvincing. However, my explanation of the thesis of the book (pp. 7–8) explicitly lays out the theological issue that will be examined: the new rite’s treatment of the nature of the Mass, the priesthood and the Real Presence, together with the influence of ecumenism and modernisn apparent in the new rite. These theological themes and their development throughout the whole book can be easily traced by referring to the index, which we tried to make particularly thorough and detailed precisely for this reason. (See in particular the entries under “Ecumenism” and “Modernism.”) The themes can also be found in the summaries which appear at the end of each chapter. Finally, Chapter Fourteen offers a synthesis of the theological problems with the new rite that have been raised and criticized in the foregoing thirteen chapters. For these reasons, I find Msgr. Wadsworth’s demurrers about Work of Human Hands as a theological critique to be a bit mystifying. “[T]he book is full of interesting and credible analysis. “I remain grateful for this study which … represents a genuinely informative work and an important contribution to the current debate. Often the best one can hope for from a reviewer is that he actually reads the book and gives the author a fair hearing. A reviewer who is intimately conversant subject matter of the book, takes the time to analyze its contents carefully, praises it and then urges other to read it is every author’s dream. I thank the Editor of Usus Antiquior, the Rev. Dr. Lawrence Paul Hemming, for his inspired choice of Msgr. Wadsworth to review Work of Human Hands, and I thank Msgr. Wadsworth for his careful consideration of my book and for his kind words. THE New Oxford Review, a monthly with a conservative take on many issues in the post-Vatican II church, recently reviewed Nicola Giampietro’s The Development of the Liturgical Reform: As Seen by Cardinal Ferdinando Antonelli from 1948 to 1970 (Roman Catholic Books, 348 pages, $33.75). 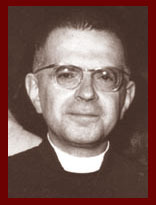 Antonelli was a liturgist and Vatican official who from 1948 onwards had been intimately involved with the ongoing liturgical reforms that began during the reign of Pius XII and culminated with the Novus Ordo Missae of Paul VI in 1969. 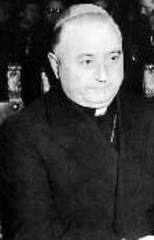 Indeed, in his capacity as Secretary of the Congregation of Rites, Antonelli had countersigned the 1969 decree promulgating the New Mass. Moreover, the title of Dr. Sippo’s review, “Liturgical Reform Did Not Start with Vatican II,” expressed one of the central contentions of my book. To people who have taken a keen interest in liturgical reform and have read about it both from the perspective of those who support it and those who do not, this volume helps put everything into perspective, separating the wheat from the chaff. This is especially true with regard to the claims of “radical traditionalists,” who allege that the 1970 missal represented a Protestantization of the liturgy and a wholesale break with tradition, and that the 1570 missal was an organic outgrowth of the Church’s life. Cardinal Antonelli’s memoirs show that this was not the case, and that, for good or for ill, the reform basically achieved what it set out to do. The Novus Ordo Missae has been referred to mistakenly as one of the “fruits of the Second Vatican Council.” In fact, the history of liturgical reform that led to the promulgation of the New Mass predated Vatican II by several decades. Improved historical scholarship and the pa­tristic renaissance of the late nineteenth and early twentieth centuries had given birth to a new consciousness of the liturgy as a dynamic participation of the faithful in the prayers and rites of the Church. What Dr. Sippo and many others like him do not seem to realize, however, is that by the 1950s many of the principal actors in the Liturgical Movement had veered off into Modernism and false ecumenism. These charges were leveled by Archbishop Groeber of Freiburg in a 17-point memorandum he circulated among the German bishops in 1942 that detailed the errors and excesses of the Movement. The Holy See intervened with Pius XII’s Encyclical Mystici Corporis (1943), a Letter of the Secretariat of State to Cardinal Bertram (1943) and Pius XII’s Encyclical Mediator Dei (1947), all of which condemned, in one way or another, errors rampant in the Liturgical Movement. None of this stopped the onslaught of the Modernists, however. Thus, in a 1956 Allocution to the International Congress on Pastoral Liturgy, Pius XII warned the Movement once again about prevalent theological errors concerning the Real Presence, the priesthood, and the danger of separating the tabernacle from the altar where Mass is celebrated. It is especially in its theological method that the Liturgical Movement evidences a relationship with the errors of Modernism as condemned by Pius X in Pascendi… There is no doubt that Heiler and Birnbaum are correct when they see the Liturgical Movement continuing certain of the tendencies of Modernism: certain of the most fruitful trends condemned by Pius X in his blanket condemnation have served to make the Liturgical Movement the great power it is today. (29, 30-1). 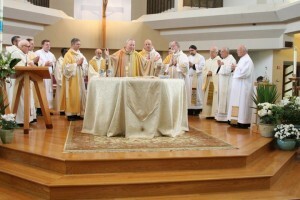 As I demonstrate in Chapters 2 and 3 of Work of Human Hands, there is indeed ample evidence that the liturgical changes instituted in the 1950s were the work of Modernist adepts of the Movement, engaged in a long-term program of incremental liturgical change — indeed, subversion — that would culminate in the promulgation of Paul VI’s Novus Ordo Missae in 1969. So, the connection that Dr. Sippo rightly draws between the pre-Vatican II reforms and the Novus Ordo does not so much exculpate the Mass of Paul VI as incriminate it. 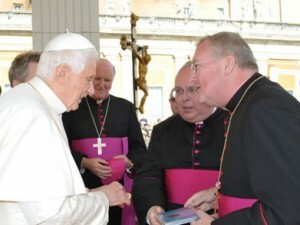 IN ITS MARCH 2011 number, the Australian Catholic periodical Oriens published a combined review of three recently-published books on the post-Vatican II era, Dr. Tracey Rowland’s Benedict XVI: A Guide for the Perplexed, Dr. Geoffrey Hull’s The Banished Heart: Origins of Heteropraxis in the Catholic Church and Fr. Anthony Cekada’s Work of Human Hands: A Theological Critique of the Mass of Paul VI. REVIEWER: Stephen McInerney (b. 1976) holds a Doctorate from the University of Sydney (2006) and a Bachelor of Arts (with First Class Honours) from the Australian National University, where he was awarded the University Medal in English in 2000. In Your Absence (Indigo/Ginninderra), his collection of poems, was recommended by leading Australian poet Les Murray in the (London) Times Literary Supplement ‘Books of the Year’ in 2002. His writings have appeared in the Bulletin, the Australian, Adelaide Review, Quadrant, Who Weekly, Southerly, Critical Review, AD2000, Oriens, Best Australian Poems (2004 and 2005), the Literary Encyclopedia and the Warwick Review (UK). He is currently Lecturer in Literature at Campion College, New South Wales, Australia. A number of his articles have appeared in the U.S. publication The Remnant. All engage with and seek to account for the recent dramatic changes in the Catholic Church. Whereas Professor Tracey Rowland does this in the context of, and as a consequence of exploring, the theology of Benedict XVI, Professor Geoffrey Hull and Rev. Anthony Cekada do so, in quite different ways, by engaging directly with the liturgical question itself. Fr. Cekada adopts (perhaps ironically!) a more mainstream traditionalist position by tracking present problems to the distortion of the liturgical movement… which was, he believes, hijacked by theological Modernists and liberals of various stripes. Cekada is a thorough scholar, who has done as much as anyone to highlight the theological differences between the pre-C0nciliar Missal (codified by St. Pius V) and the Missal of Paul VI, and in so doing, to prove that these differences cannot easily be reconciled. In addition to numerous articles, he contributed the illuminating introduction to The Ottaviani Intervention and has published a fine study, The Problems with the Prayers of the Modern Mass. Cekada believes that the New Missal is opposed to authentic Catholic teaching, not only in its typical celebration in the average parish (most traditionalists would agree) but in its essence, and he marshals an impressive array of evidence to support this conclusion. Chapter 2, on the history of the pre-Vatican II Liturgical Movement, Dr. McInerney found “quite enlightening, if at times too neat.” To counteract the latter, he recommends that the chapter be read in light of Chapter 15 of Dr. Hull’s work, which also explores aspects of the pre-Conciliar Liturgical Movement. The most outstanding and convincing aspect of Fr. Cekada’s work, extending what he achieved in the Problems with the Prayers of the Modern Mass, is to show how alien to one another are the spirits animating the two missals. What has been removed from the New Missal is every bit as revealing as what has been added, and it is hard not to conclude — as Cekada does — that the New Missal was calculated to change the behavior, attitudes and beliefs of the Catholic population. 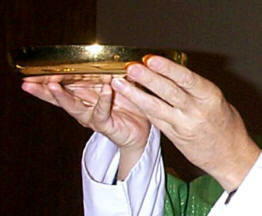 Is Newman’s position on Rome’s role in guiding and guarding authentic development still valid in the liturgical sphere, however, in light of what we have seen since the Second Vatican Council, with Rome’s infamously conflicting (and impossible to reconcile) positions on altar girls and administration of communion, among a host of other practices? It has certainly been seriously tested by the experiences of many Catholics, both Eastern and Western. Or, to put the underlying question as simply as possible: How reconcile the Church’s authority and infallibility on one hand, with the evil of the official liturgical changes on the other? It is encouraging to see that a new generation of traditionalists has begun to grasp the nature of the problem. EVER SINCE the post-Vatican II revolution began, the liturgical change that faithful Catholics regarded as most horrifying was communion in the hand. It overthrew everything — everything — we had been taught to believe about the ineffable holiness of the Real Presence and the sacred character of the priesthood. The 16th-century Protestant heretics who abolished communion on the tongue and introduced communion in the hand were well aware of the doctrines the old practice represented, and changed the mode of receiving communion precisely in order to overthrow these teachings. Many who now advocate more traditional liturgical practices have looked upon Benedict XVI as a sympathetic ally who seeks to restore tradition in Catholic worship. Hence, the permission given for the old Mass, the reappearance of old-style vestments at St. Peter’s, the encouragement given to worthy sacred music, etc. 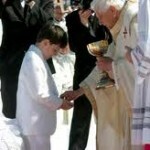 Since the reception of communion on the tongue logically would seem to be part of this package, and since Benedict XVI was rumored to be opposed to communion in the hand, many were shocked to see pictures of him personally distributing communion in the hand, most recently, to the Queen of Spain. I am not opposed in principle to Communion in the hand; I have both administered and received Communion in this way myself. So there we have it in Benedict’s own words: he believes that there is nothing wrong in itself with communion in the hand. But if there is no principle to oppose, why the widely-publicized business of communicants in St. Peter’s being made to kneel and receive on the tongue? The idea behind my current practice of having people kneel to receive Communion on the tongue was to send a signal and to underscore the Real Presence with an exclamation point. One important reason is that there is a great danger of superficiality precisely in the kinds of Mass events we hold at Saint Peter’s, both in the Basilica and in the Square. I have heard of people who, after receiving Communion, stick the Host in their wallet to take home as a kind of souvenir. The return to the traditional practice was, in other words, merely a practical expediency to forestall the incidental, by-the-way, regrettable problems of superficiality and souvenir hunting. In this context, where people think that everyone is just automatically supposed to receive Communion — everyone else is going up, so I will, too—I wanted to send a clear signal. I wanted it to be clear: Something quite special is going on here! He is here, the One before whom we fall on our knees! Pay attention! This is not just some social ritual in which we can take part if we want to. In the foregoing passage and those which preceded it, we find more of the convolution so typical of modernist theological discourse. 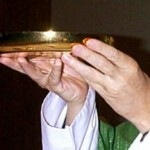 A few bones are thrown towards Catholics who hunger for tradition and the old dogmas (thus: “underscoring the Real Presence,” “something special,” “not just some social ritual”), while the larger and more fundamental issue at stake is rendered completely relative (“in this context,” “danger” of superficiality). We have seen this before in Ratztinger/Benedict’s pronouncements on the liturgy. 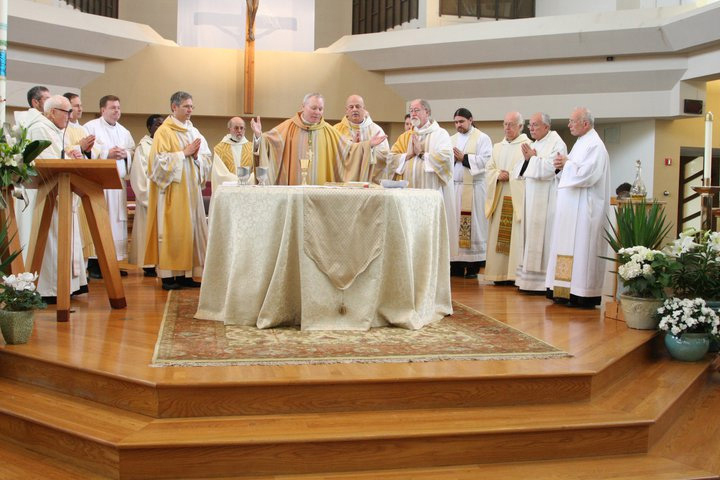 He comes out in favor of some traditional practice: the old Mass, facing “east” for the Eucharistic prayer, more Latin, traditional vestments, high-quality music, etc. Beleaguered conservatives and traditionalists rejoice: the restoration has begun! This should come as no surprise, because the young Josef Ratzinger was himself formed in the mid-20th century modernist theological universe that rejected the methods and principles of Thomist (i.e. Catholic) theology. Courtesy of Benedict XVI, conservatives and advocates of officially-sanctioned celebrations of the old Mass are thus left without a fixed theological principle upon which to hang their opposition to communion in the hand. It’s all “context” now — the Holy Father says so! As for sending what Benedict called “a clear signal,” ever since the advent of the Protestant and Modernist heresies on the nature of the Eucharist, the signal communion in the hand has sent is very clear indeed: I repudiate the dogma of transubstantiation. So too, the signal Benedict XVI’s recent statement should send to conservatives: It is time to put aside your illusions.